Quite an extensive thread on this somewhere on this board, as mentioned by someone else. We spent a time plotting out the flight path of the FLIR cam chopper and the object itself. Still a cool video though! I agree, unsolved mystery. I think the reason you don't see mountainous areas fly up or water splash as the object seemingly passes through them is because it is recorded in infrared, meaning objects wont be clear, and distortions will happen. That could be the case, but the major point was if the object is dipping into the water, it is at speed and we know nothing about domestic drones that operate in that manner. That feature, as much as anything is what makes this a likely candidate for being a genuine UFO. It makes no difference, this one, like the exploding rocket on the launch pad in Florida last year will be explained away. Here's a screen shot of that other "ufo." I thought it could be a glitch, but notice how this other object moves farther away before disappearing from the video clip. I think the IR camera may have caught another craft. edit on 12/1/2017 by shawmanfromny because: BAD LINK! His point is just as valid as anyone else's at this point. 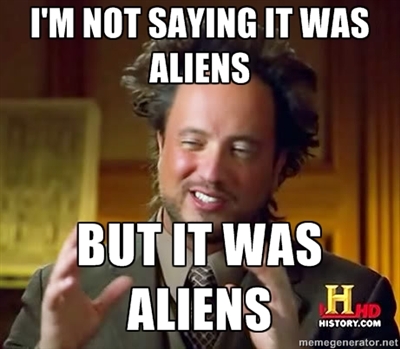 The only facts we have are that, a UFO was caught on FLIR. Just because we don't know what it is. Doesn't automatically mean it's aliens. Personally I think it was the Flying Spaghetti Monster. The FSM was returning to the ocean because pasta should be salty. When people have nothing to say of value, they throw up that image. That image is a poor tactic as a response, self-revealing of your main position. And then it un-ran out of fuel and exited the water again? Neato. As interesting as the footage appears on past investigation I believe it's a balloon or balloons tied together , the splitting of the object is caused by the FLIR , it's a reflection , at no point does the partly submerged ghost effect the water. The object does not display any unusual behavior nor does it enter the water as some claim , it acts like a balloon traveling with the wind. 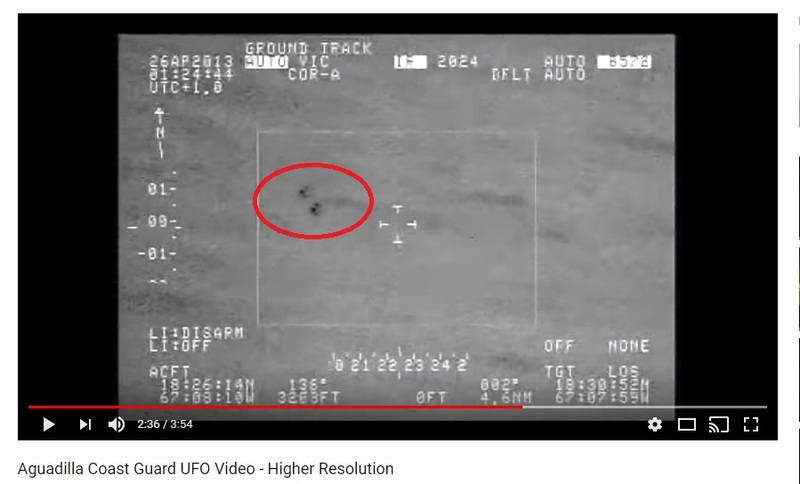 There was a lengthy discussion about this UFO vid on ATS about 2 years ago. So many points of view that I think it ultimately ended up being an unsolved mystery. Now would be a good time to find that thread, and pick up where it left off.. to not go over the same ground twice. The more I look at that zoomed in close-up, the more it looks like a flying Turkey. It appears to me that the object gets obscured by clouds now and thenn. It does appear to shift it's shape however that could be due to the distance from the helo.